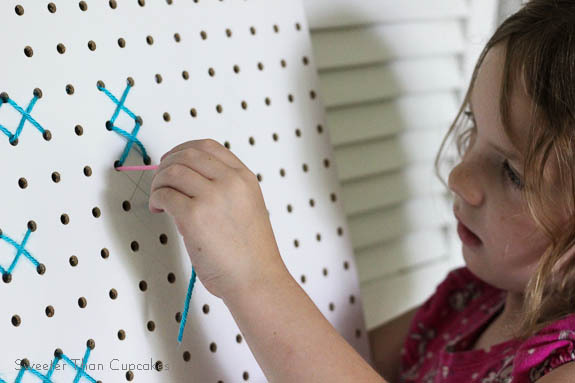 One of my favorite features from the Sewing Party was the pegboard backdrop. 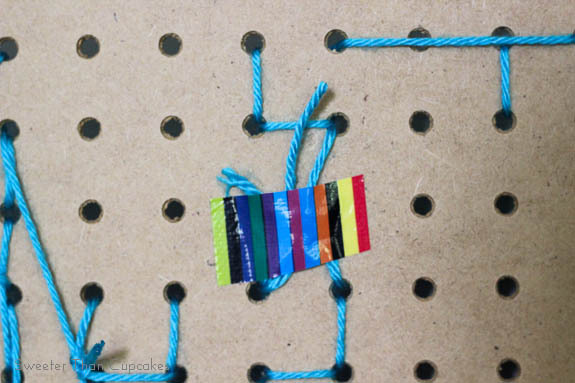 It is literally so simple to stitch on a pegboard that a six year old can do it. 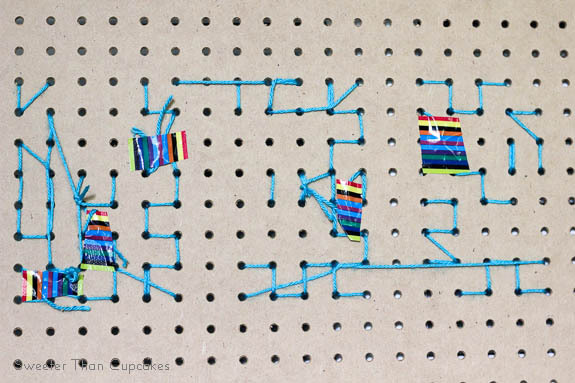 There really are no rules to stitching on a pegboard so this is just a quick guide to how we did it. 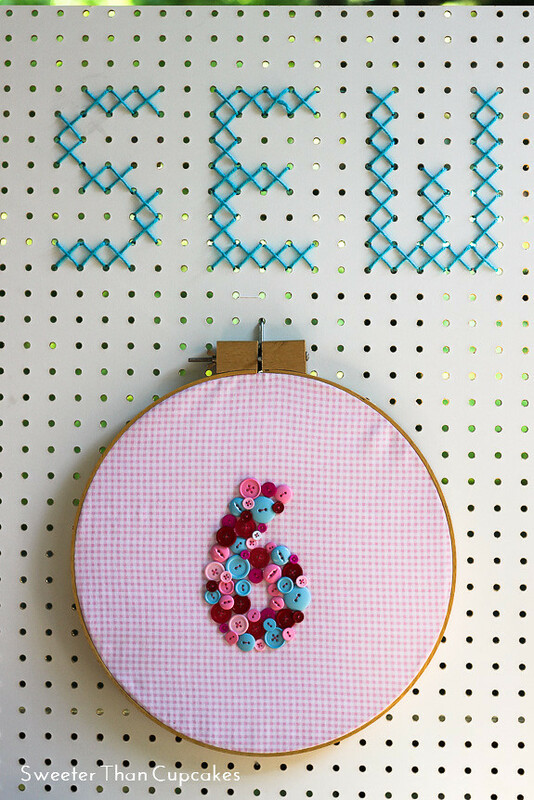 First, I laid out the location of the letters to center the word. Then, I lightly marked out the X’s in pencil to form each letter. 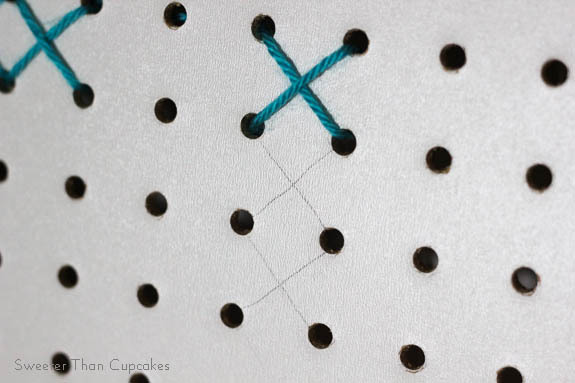 Avery loves to be a part of the party prep, so she took over with a plastic needle threaded with yarn to form the X’s. We knotted the yarn on the back side to secure the ends and applied a little duct tape to hold it in place. … is a work of art. 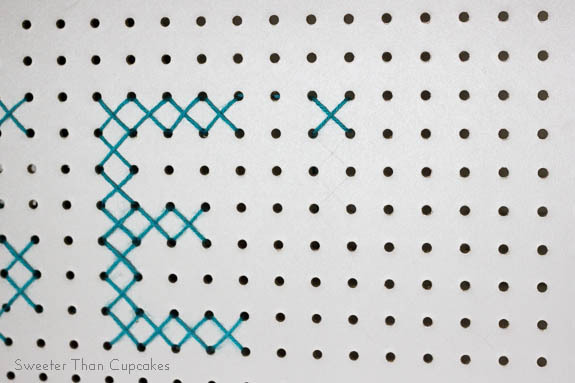 Check out my Pinterest page for a couple more unique pegboard stitching ideas. 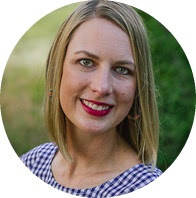 Follow Courtney's board sewing / playroom on Pinterest. 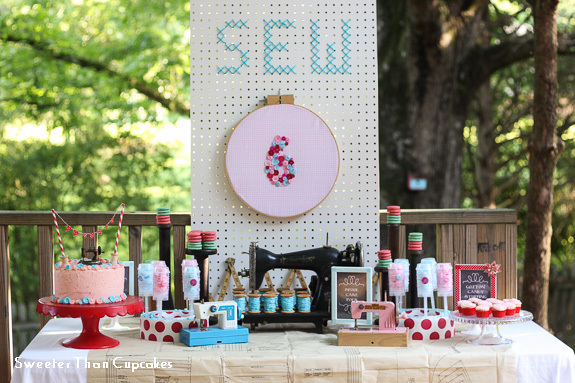 Love your pegbard idea for the sewing party! I'm planning on using it for my daughter's 7th birthday party next weekend! Thank you for the idea.